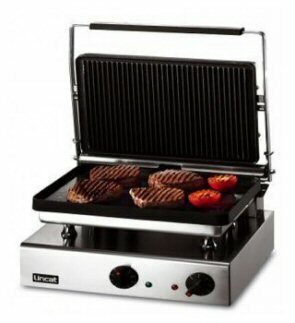 This style of grill cuts down cooking time by using two heated plates, above and below the food. Double sizes often come with a single wide lower plate and two upper plates. Panini style Ribbed and semi-ribbed versions are also popular.